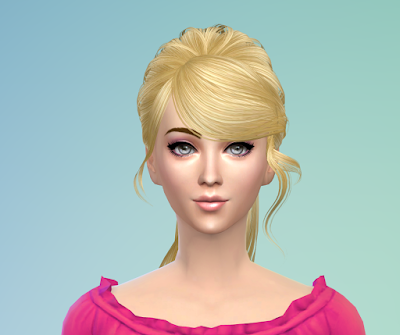 To know the required programs to make Sims 4 cc and to learn how to create the mesh of a cc Sims 4 bed,read Part-1 of this tutorial. 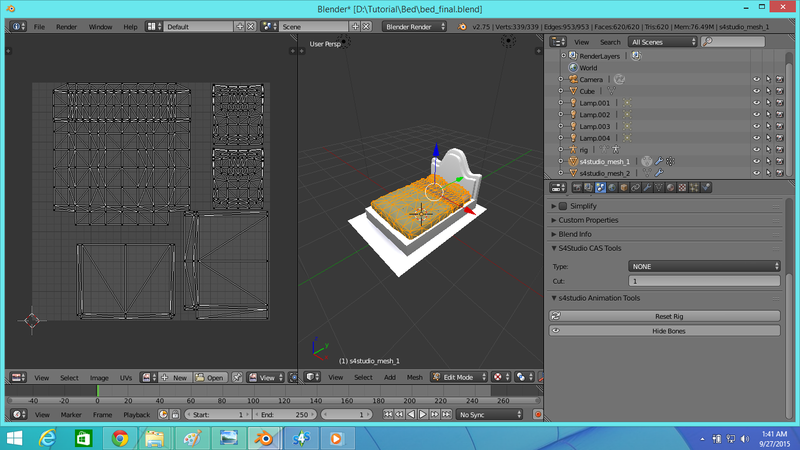 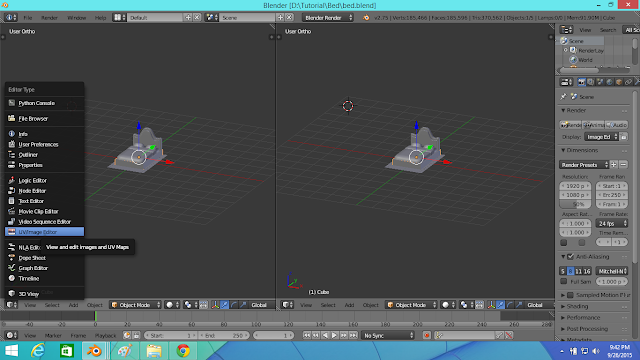 1.First open your blender bed mesh file if you haven't already opened it. 2.Now click,hold the left mouse click on the area pointed by arrow on the first pic below and drag it to the left to part the screen in two shown in the 2nd pic. 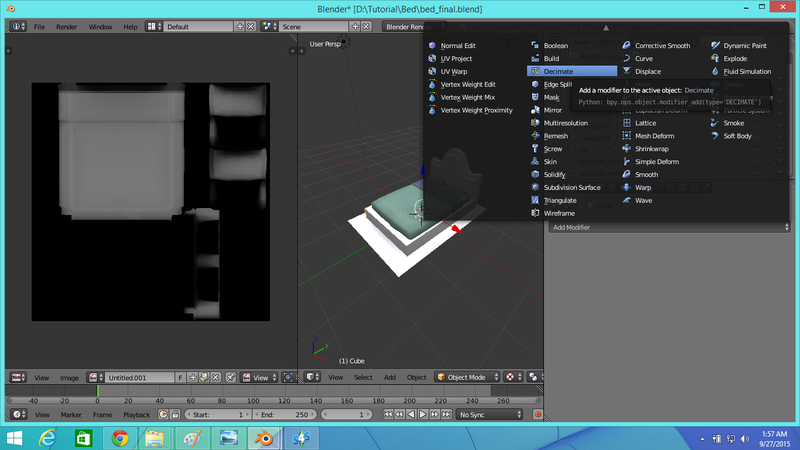 I just hid the sidebars as I don't need them.Now on the left window select UV/Image Editor as shown below. Now we have to create the UV map of the bed frame only and we'll leave the shadow and the bedding as it is.We're not creating the UV map of bedding as EA has it's own UV map of the bedding which we will export later.The shadow doesn't need UV mapping.So first select the bed base by right clicking on it and press "Tab" to go to the edit mode.In edit mode you can see the bed base is selected. 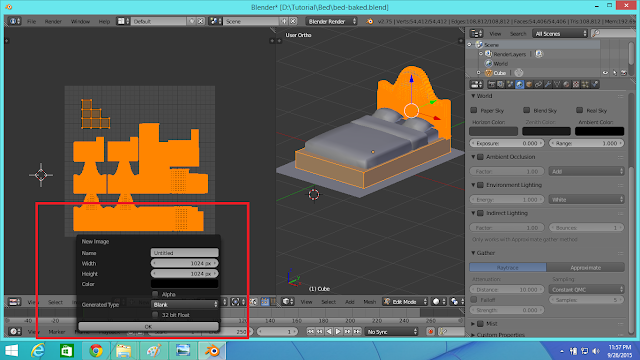 Click on the right screen and press "U" and then click on "Smart UV mapping" from the UV Mapping menu as shown below. 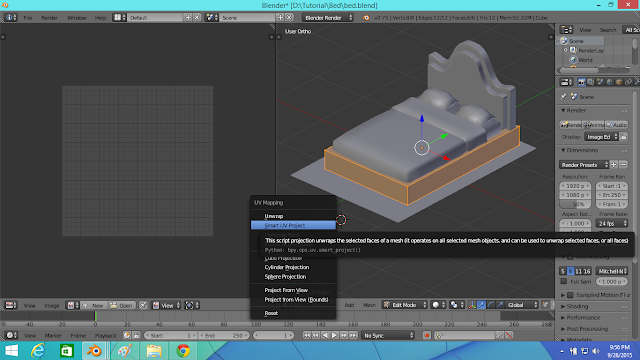 Now set the angle limit to 89 as shown below.Leave the other field as default and click "OK"
You can see below the uv map of the bed base is loaded now on the UV editor. 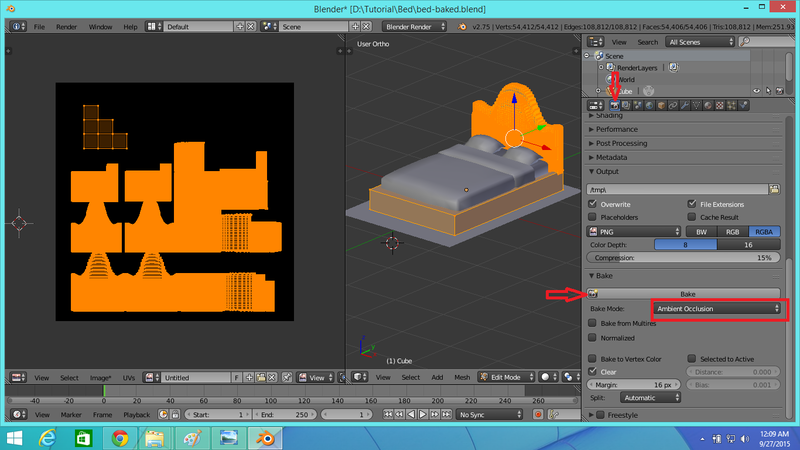 We've to re-size map because we'll merge other maps into this UV editor.To re-size it first click on the UV editor window,press "B" and then select the whole map as shown below. 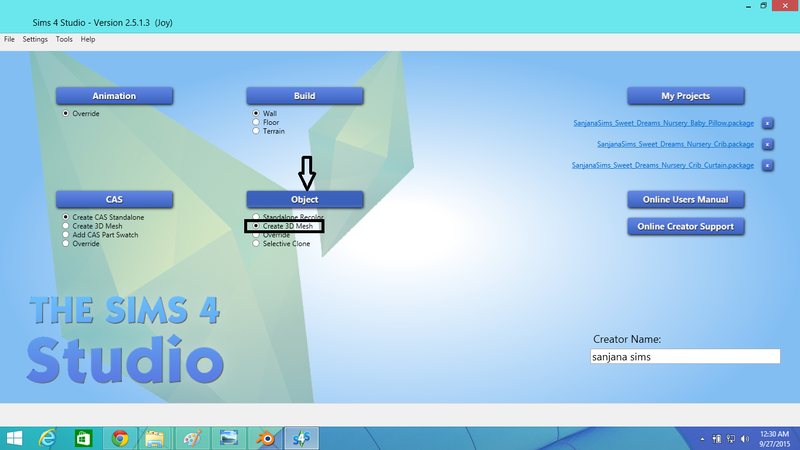 Press "S" and re-size it to a smaller size and then move the map by pressing "G" to the place shown below.Take a note on which place you moved the map and we'll avoid that place while loading other maps as we shouldn't overlap the maps. 3.Now press "Tab" to go to the object mode and select the bed head or a object of the bed head by right clicking on it.As I have two parts in my bed head I need to join them now.To join two or more objects,first group the objects (Grouping objects is explained in Step-19 of Part-1 of this tutorial) and then press "Ctrl+J" to join them.Remember once they are joined and you saved and closed your project there is no way to get back the original individual form of each object you joined.You can always press "Ctrl+Z" to undo your commands. After selecting the bed head, go to edit mode again and then press "A" to select all portions of the bed head object if its not already selected as shown below. 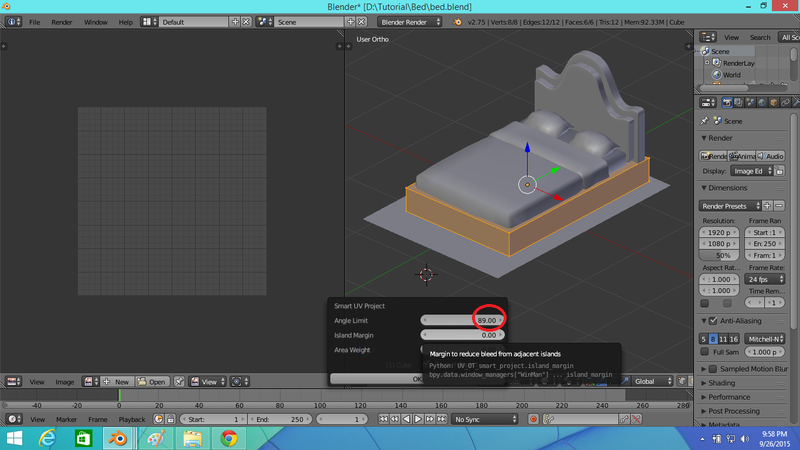 Create a UV map of the bed head and re-size it to smaller size repeating the instructions of step-2.Then move it to a place within UV editor but not other than the place containing bed base map.For example I've placed my bed frame avoiding the bed base map place marked by red circle. Now go to object mode and group the bed base and the bed head and then join them.Now come to the edit mode again and press "A" to select the whole joined part as shown below and you'll see your bed head and bed base map merged into one UV map. 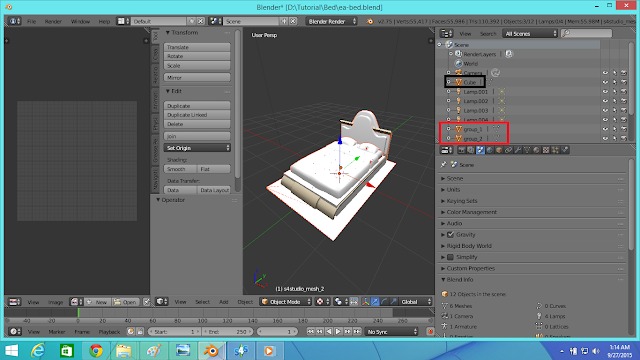 This is the basic technique of creating UV map.Also,you need to remember which map of which part of the bed as we have to apply texture/color/pattern to the baked UV map not the objects. 4.We'll now bake the UV map we created.Baking the UV map is essential for the Sims 4.To bake first click on the "New" button highlighted on the picture below. Apply the settings marked by the red box below.Note that un-checking "Alpha" is required for some UV maps and for some UV maps it's required to check "Alpha" and this will depend the program you're using to texture your map for example it'll be easy to texture an UV map with alpha in Gimp but quite hard in Photoshop CC. After adding the image to the UV map,go to the "world" tab in the left sidebar of blender.Check and apply factor:1.75 to Ambient Occulsion and factor:0.75 to Environmental Lighting as shown in the picture below. Now save the baked UV map as shown in the picture below.Also,it's beneficial to save your baked mesh file as a separate blender file from the original bed mesh file we opened in the step-1 of this tutorial as if you want to add or remove anything to the mesh,you can change the mesh file and then repeat the UV mapping and baking process to bake your changed mesh. We've now done UV Mapping and Baking UV Maps. 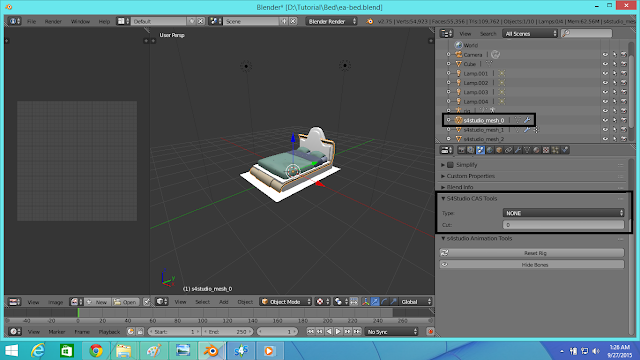 1.Open Sims 4 Studio and add your name in the Creator Name field.This is your signature as an original creator which will automatically be added to every cc you create.It helps to detect cc creation stealing as far as I know.Select "Create 3D Mesh" and click on the "Object" button as shown below. 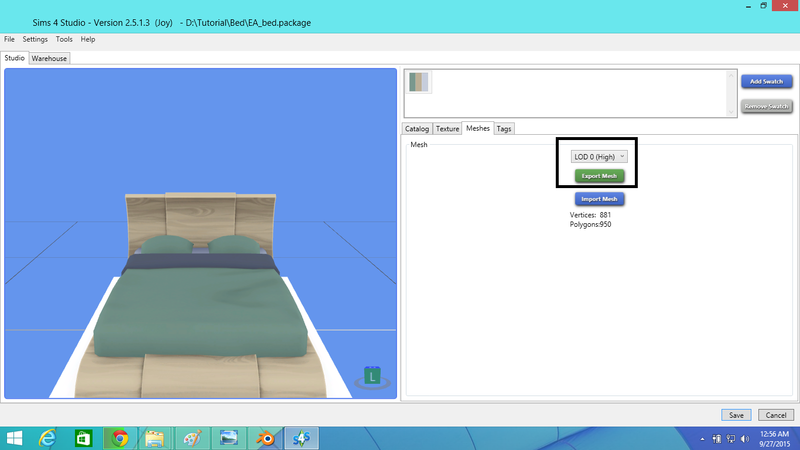 Wait for the objects of The Sims 4 game to be loaded.Now select "The Utopiate" bed,actually you can select any double bed but not the single beds and click Next.Then save the bed,it will be saved as DBPF Package file. 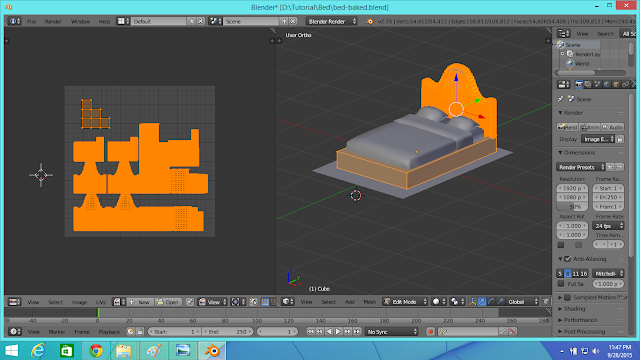 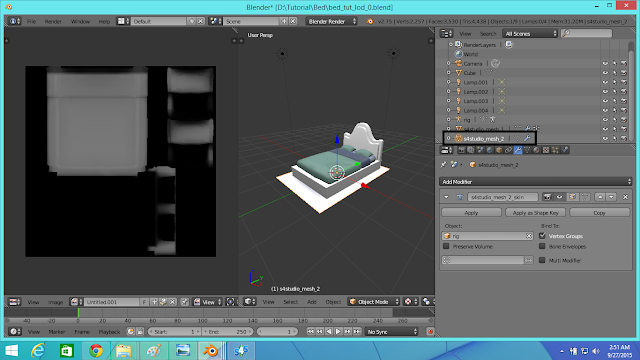 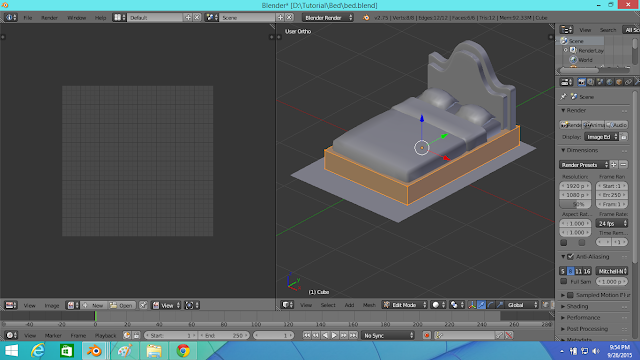 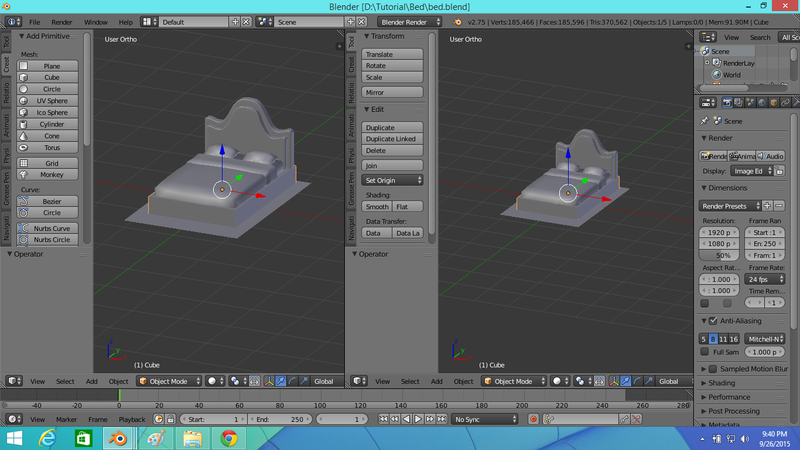 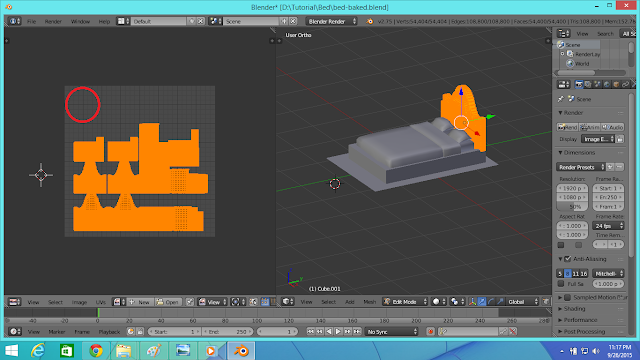 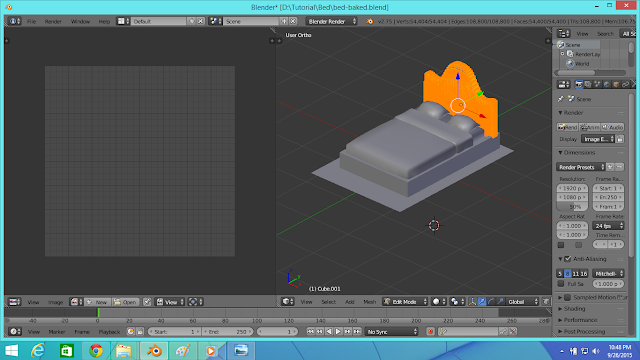 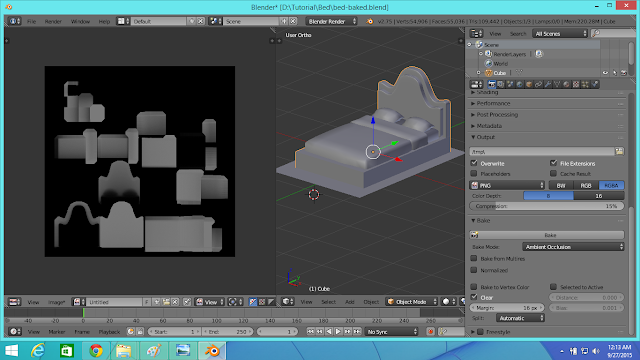 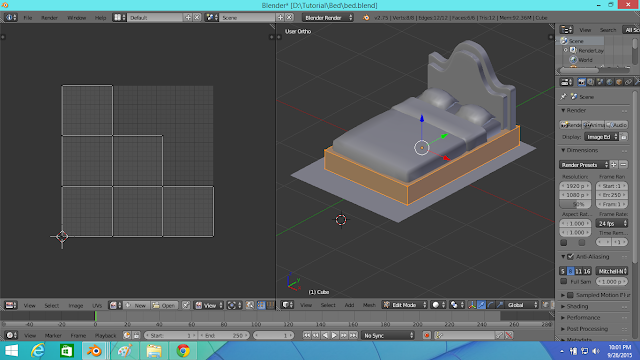 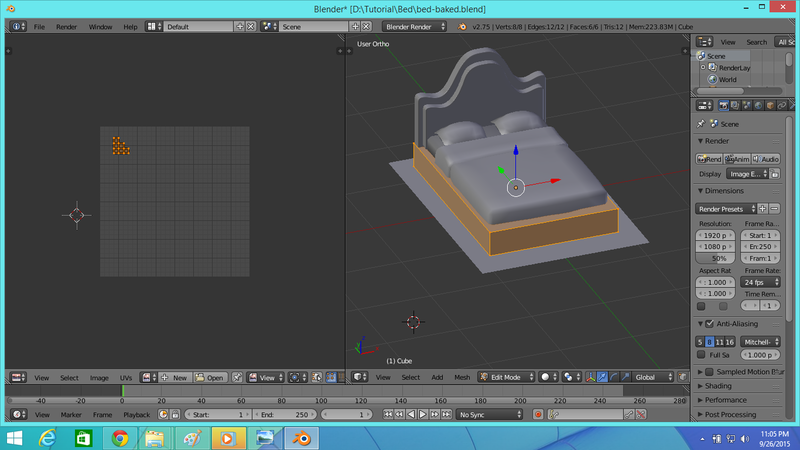 Now export the high detail mesh of the bed from the Mesh tab as shown below.It'll be exported as a blender file. 2.Open the exported blender file from Sims 4 Studio by double clicking on the exported file. 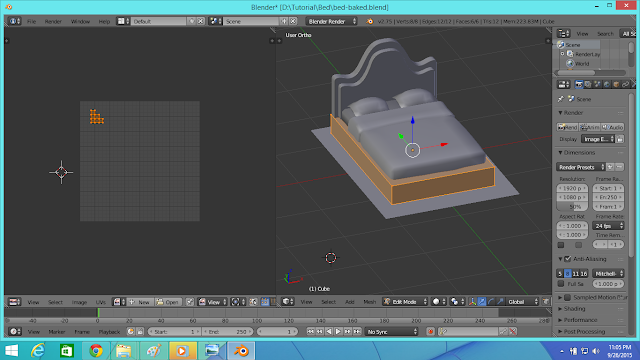 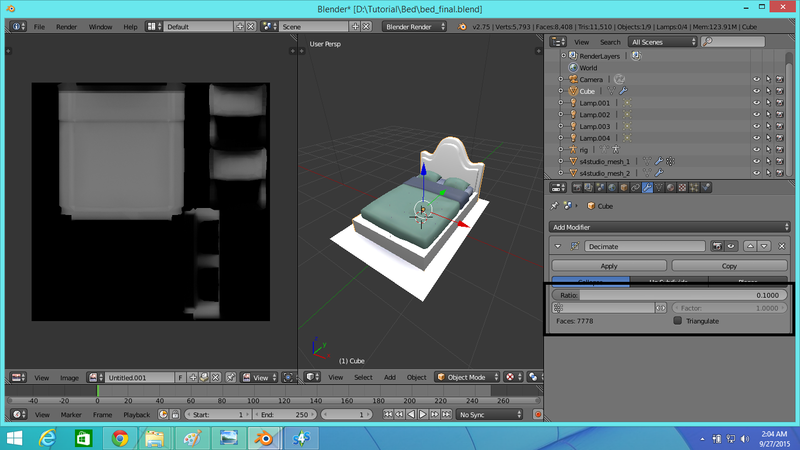 Import the blender file that contains baked UV map of the bed by appending the bed including all of its parts(Appending a file is explained in Step 18 of Part-1 of this tutorial ).Our bed has 3 parts- Bed Frame (highlighted with black box in the sidebar) and Bedding and Shadow (highlighted with red box). Now press 'A' to deselect and delete "group_1" and "group_2" as they're the shadow and the bedding of our baked bed and we 'll be replacing them with the shadow and the bedding of the EA bed exported from Sims 4 Studio.After deleting "group_1" and "group_2" our bed will look like below. Now click on the "s4studio_mesh_0"(the bed frame of the EA bed exported from Sims 4 Studio) and note the cut value under S4Studio CAS tools (highlighted by black box).Here the cut value is 0. 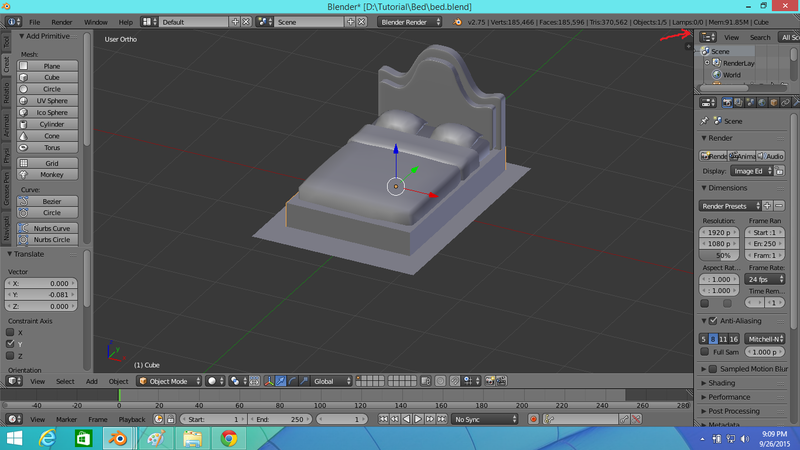 Then select the bed frame of your bed and assign the same cut value of the EA bed frame which is 0 to your bed frame. 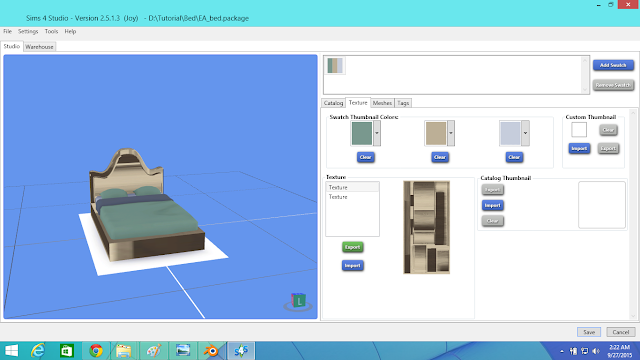 3.We'll now bake and export the EA bedding UV map for adding our own pattern/texture/color to the EA bedding.Select the EA bedding,press "Tab" to go to the edit mode and you'll see the EA UV map of the EA bedding. 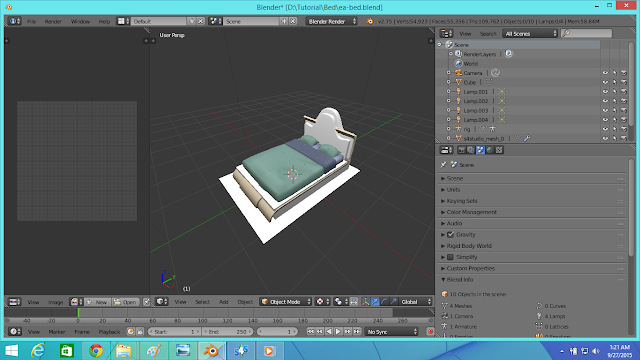 4.You can see below the bed has 109,442 polygons where Sims 4 can process up to 20000 polygon.Most of the CC hairs have 10000-20000 polygon.The bed poly is high because of the curve shaped bed head.The more simple your mesh,less poly it'll have.Reducing the polygon number/poly count will reduce the quality of the mesh.But we have to lower the poly of the bed frame as much as we can without destroying the shape of the bed frame mesh for the sake of Sims 4 game performance.To lower the poly count,select your bed frame and click "Decimate" from the "Add Modifier" options in the Modifier tab of blender left sidebar. 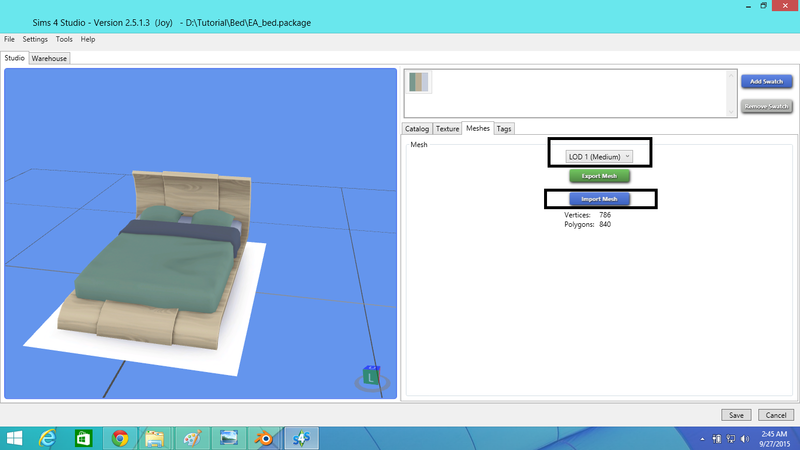 Now put any decimal value below 1 in the "Ratio" field as shown below and press "enter" to see the change.If you're satisfied with the change click "Apply" button.I put initially 0.1 as I need to drag the poly count from 109,442 to below 10000. 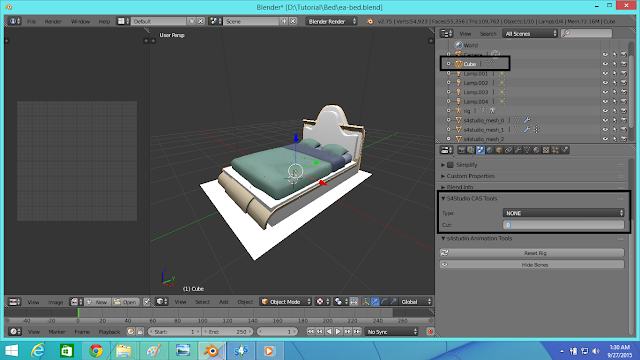 I decimated the bed to 4438 poly count.After you apply the decimate modifier save the file naming lod_0 for example "bed_lod_0" to recognize it's the high detail mesh.This mesh will load in the Sims 4 game when the graphics for Objects is set to high in the game graphics option. 5.Now open EA bed DBPF package file you save in Sims 4 Studio in step 1 of this part.Select "LOD 0 (High)" from the drop down menu under mesh tab and click on import button and then import your lod 0 bed file you saved in the previous step. 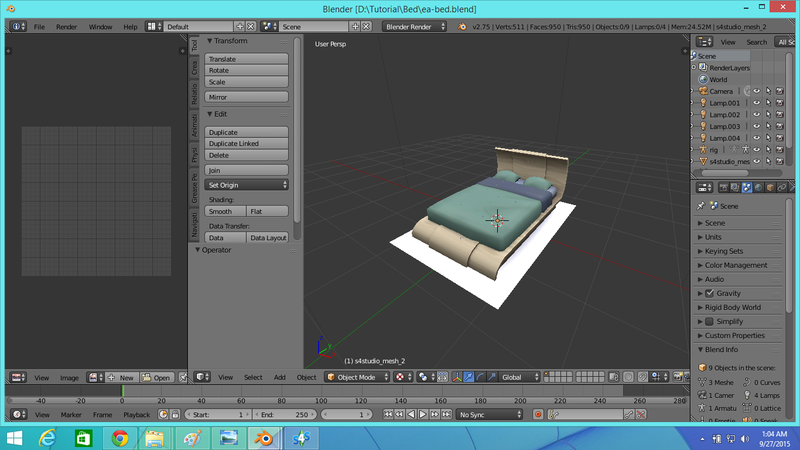 It'll take a while for the mesh to be imported depending on the poly count of the mesh.You'll see that your bed will have EA textures once it's been loaded which doesn't match your bed for sure.We'll add our own texture to it in the part-3 of this tutorial. 6.Follow step 4 again to decimate your lod 0 model a little bit to make lod 1 or medium detailed model of your bed.Follow step 5 to import your medium detail mesh as shown in the picture below. 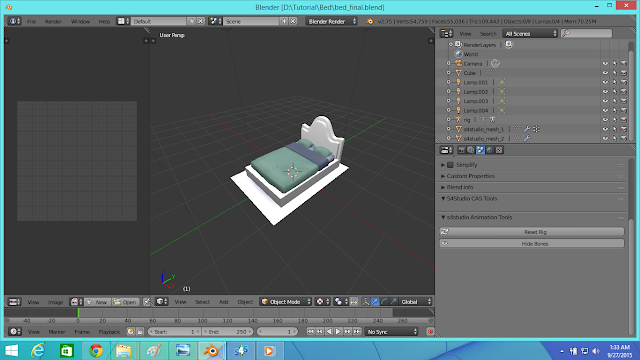 7.This bed has a shadow mesh also.To create a high detailed shadow mesh open your lod 0 blender file of your bed mesh and delete "s4studio_mesh_2"as shown in the picture below. 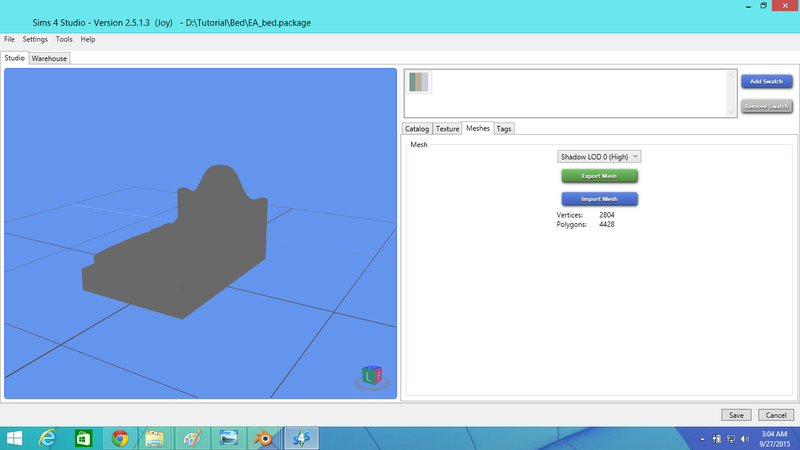 Save this file as a separate file under different name and it's your shadow lod 0 file. 8.Repeat step-7 to create a shadow lod 1 file. 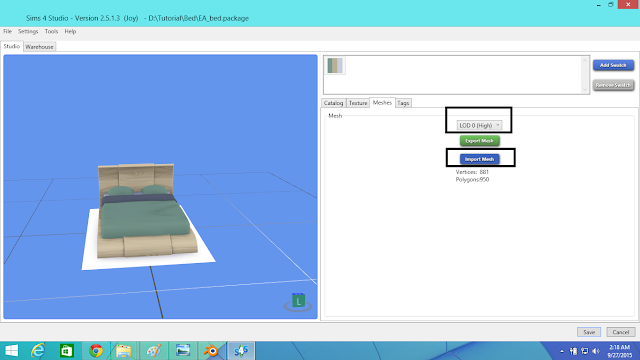 9.Repeat step 5 and step 6 to import your shadow lod 0 and shadow lod 1 file to Sims 4 Studio.Your bed shadow will look somewhat like below after importing. 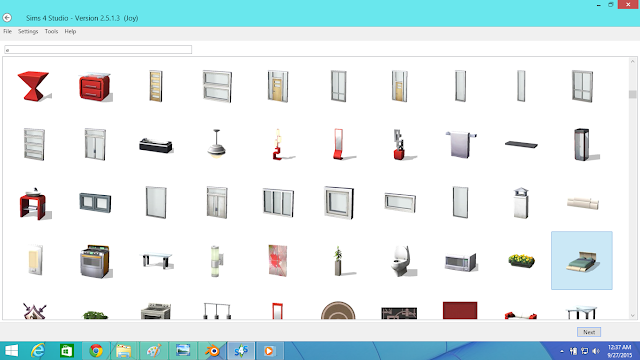 Save your work in Sims 4 Studio after importing the shadow meshes.